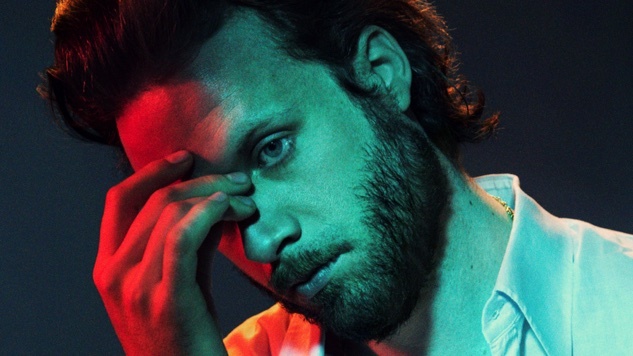 God’s Favorite Customer himself, best known as Father John Misty, has expanded his 2018 tour slate substantially, adding international shows, festival stops and a late-night performance in support of his forthcoming fourth album, due out on June 1 via Sub Pop. Misty will perform material from his new album on TV for the first time on May 7’s episode of The Tonight Show Starring Jimmy Fallon before embarking on his new tour, which begins on May 11 at Granfalloon: A Kurt Vonnegut Gathering! in Bloomington, Ind., and runs through a Nov. 18 show in Lausanne, Switzerland. His new dates include 23 new North American shows, with stops in Washington, D.C., Pittsburgh, Boise, Salt Lake City, Kansas City, Milwaukee, Indianapolis, Cleveland, Charlottesville, Charlotte, Miami Beach, Orlando, Birmingham, New Orleans, Oxford and Oklahoma City. They also include 15 new European shows, with stops in the U.K. (Gateshead, Liverpool, Portsmouth, Leicester, Bath), Belgium (Antwerp), Netherlands (Eindhoven, Amsterdam), Germany (Darmstadt, Berlin), Sweden (Gothenburg), Hungary (Budapest), Austria (Vienna) and Switzerland (Lausanne, Zurich). Joining Misty at his new headlining shows are a number of acclaimed artists, including his Sub Pop compatriots King Tuff (Sept. 20-Oct. 3) and Bully (Aug. 2-3), as well as Bedouine (select dates from Oct. 26-Nov. 18), Jenny Lewis (July 29, Aug. 1), Lucy Dacus (July 26, Aug. 12-13) and David Beeman (Aug. 17). Elsewhere, Misty will headline the Hollywood Bowl on June 24 alongside Gillian Welch and Big Thief, Red Rocks on Aug. 15 with TV on the Radio, and Halifax, U.K.’s Piece Hall on May 26 with Edwyn Collins, Frightened Rabbit and Hookworms. Where festivals are concerned, Misty will perform at the recently announced Newport Folk (July 28) and Austin City Limits Festivals (Oct. 5-7, Oct. 12-14), as well as at Primavera, All Points East and Panorama. And don’t forget that he’s set to join Chris Thile and Neko Case on May 19 for a live Live From Here performance at Atlanta’s Fox Theatre. Fan pre-sales for Misty’s headlining tour (password: TILLMAN) begin Tuesday, May 8 at 10 a.m. local time, while tickets go on sale to the general public on Friday, May 11 at 10 a.m. local time. Misty recently released the dark and dreamlike video for his single “Mr. Tillman,” as well as another two advance tracks from his new album. The “heartache album” sounds, so far, like a sharp turn away from the sprawling piano ballads of his last release, 2017’s Pure Comedy. Find Misty’s tour slate below, beneath Paste Cloud audio from his 2012 Daytrotter Session, and revisit the details of God’s Favorite Customer here. 20 – Jacksonville, Ore. @ Britt Pavilion ! 21 – Troutdale, Ore. @ Edgefield Amphitheatre !